Information collection and sharing, report generation, and device management capabilities of electronic medical equipment has stepped beyond the boundaries of operating rooms, patient rooms and doctor offices. The rapid expansion and adoption of internet of things (IoT), combined with increased connectivity of these devices across public networks or via other medical device, and smartphones has introduced increased risk of cybersecurity breaches and risk of loss of confidential patient information or Electronic Medical Records (EMR). In fact, the FDA recently reported that medical devices, like other computer systems, can be vulnerable to security breaches, potentially impacting the safety and effectiveness of the device. This vulnerability increases as medical devices are increasingly connected to the Internet, hospital networks, and to other medical devices. Addressing cybersecurity threats, and thus reducing information security risks, is especially challenging. Because cybersecurity threats cannot be completely eliminated, manufacturers, hospitals and facilities must work to manage them. There is a need to balance protecting patient safety and promoting the development of innovative technologies and improved device performance. This is where Sengex is the subject expert. Our THREAT services combined with engineering expertise in the areas of medical device architecture, operations and communications enables healthcare providers and manufacturers to understand their vulnerabilities and the options available to prevent potential hacking and other security breaches. Our engineering services go beyond risk assessment to include complete turnkey services for the design, development, integration and support of device security safeguards that can include software, hardware, or a combination of both. Sengex’s medical device security services has been implemented across a wide variety of electronic medical devices to include anesthesia, inhalation, patient monitoring, and ICU ventilation. 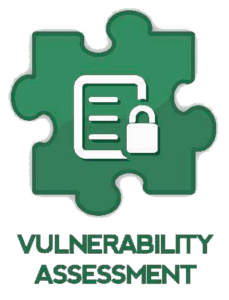 While medical device manufacturers and health care facilities scramble to address the risks related to device security, along with emerging FDA cybersecurity mandates, in many cases they don’t have the expertise and experience to know where to begin, nevermind how to develop and implement once their vulnerabilities are identified. Sengex THREAT services enables manufacturers and end users to concentrate their efforts and resources toward advancing the efficiency, capabilities, and performance of medical devices usage for patient care, while in parallel ensure these same devices has the security safeguards to meet government prerequisites and mitigate risks that could impact patient safety and privacy.